Check out the latest celebrity spotted photos here! Ranbir Kapoor was snapped at the Mumbai airport. He is awaiting the release of Sanju, a biopic on actor Sanjay Dutt. Directed by the longtime Sanjay Dutt collaborator Rajkumar Hirani, Sanju got a teaser last month that left fans impressed. Ranbir was perfect in the imitation of the Munna Bhai of Bollywood and the way he has nailed all the phases and different 'looks' of Sanjay Dutt's life. The tone of the teaser suggests that the film would be less serious than it was expected. Ranbir Kapoor is also set to star in Brahmastra alongside Amitabh Bachchan, Alia Bhatt and Mouni Roy. There is no release date yet. Dia Mirza, who will play the role of Sanjay Dutt's wife Manyata Dutt, was also clicked at the airport. Shahid Kapoor was spotted at the Mumbai airport. Shahid is currently attached to a project called Batti Gul Meter Chalu, helmed by Toilet: Ek Prem Katha director Shree Narayan Singh. 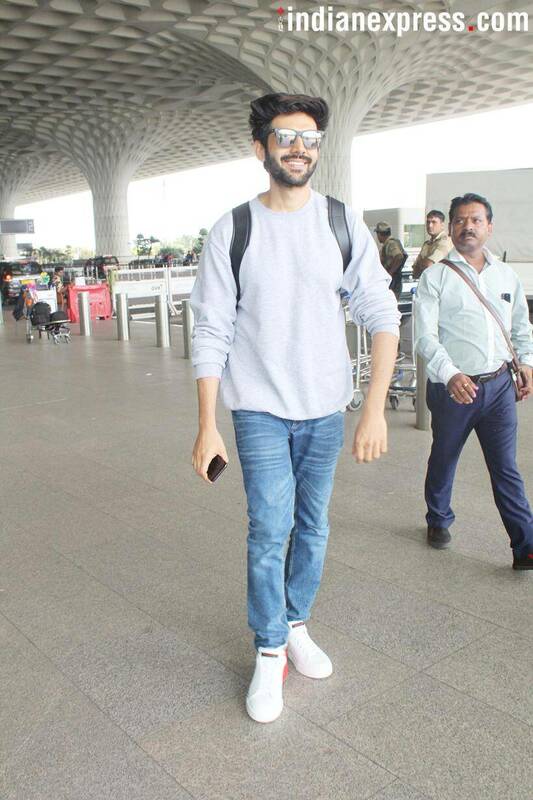 Our shutterbug also caught Kartik Aryan at the airport. Aryan starred in Sonu Ke Titu Ki Sweety earlier this year. The film became one of the biggest success stories this year. Karan Johar was also snapped at the Mumbai airport. 1 Who is K G Bopaiah ?